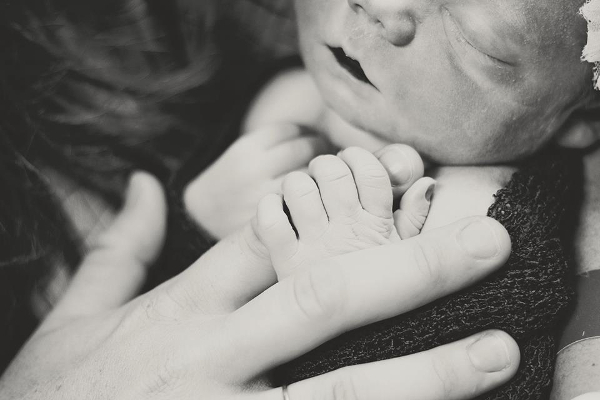 Grieving and heartbroken, a mother remembers her stillborn daughter: "My womb, my heart, and my arms are empty." 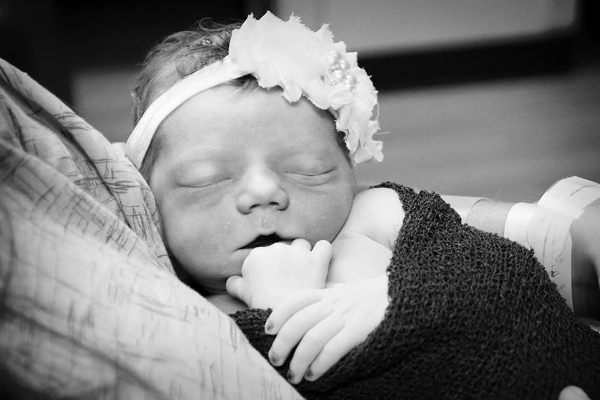 Natalie Morgan’s baby girl was kicking her from the inside the night before she was born. 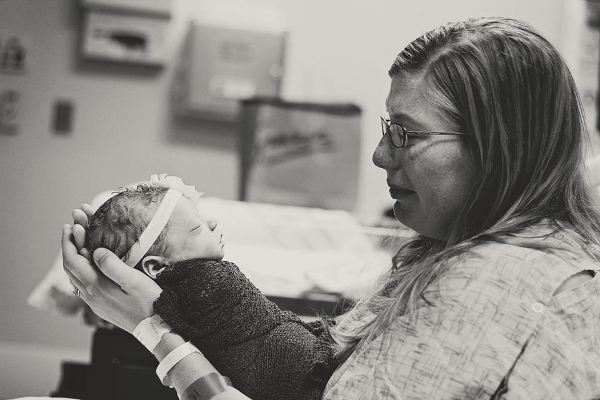 At 40 weeks, Natalie and her husband Brian went to bed excited, nervous and full of anticipation for the arrival of their baby, as any expectant parents would. The next morning Natalie couldn’t find a heartbeat. Warning: some readers might find the images in this post confronting. Bravely, Natalie has shared her experience on Facebook as a poignant plea to other mums that during their “exhausted, angry and fed up” moments with their own newborns, they stop and remember baby Eleanor. Eleanor Josephine Morgan was born sleeping on September 11, 2015. 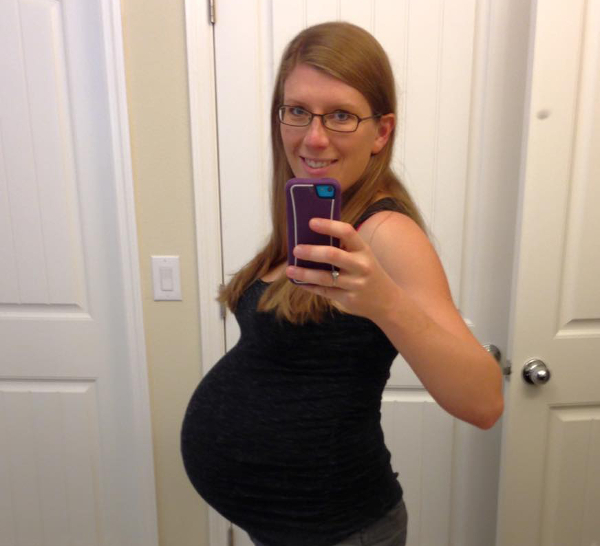 Natalie’s Facebook page shows photos of her proudly showing off her fit-to-burst bump only days before her due date. She spoke of the joy she felt when finding out she was having a daughter, a baby sister for Alfie. At 38 weeks and three days, Natalie posted a mirror selfie with the caption: “Anyone want to venture a guess as to when New Baby will come, how much she’ll weigh and how long she’ll be?”. Reading it now brings tears to your eyes. Most of us will never be able to know what it’s like to lose a child, but the honesty in Natalie’s posts breaks your heart. Her happiness and excitement shown in the photo is not yet overtaken by the immense pain and sadness that is to come. Sadly the same Facebook page that held the family’s hopes and dreams for their baby girl has now become a memorial for Eleanor, with tributes, a fundraising page and messages of support being posted from strangers around the world. But Natalie’s decision to share her story and some pictures of her dead baby has also been criticised, with anonymous social media users reporting the photographs to Facebook for being offensive. “To whoever keeps reporting our daughter’s photos, please see your way kindly to hell (I would like to say more, but I am refraining),” Natalie writes. The Florida couple did everything they could for their baby and went to hospital immediately on that fateful morning. After an ultrasound, a doctor told them there was no heartbeat. “I keep having flashbacks to that moment. It’s a crippling, all-consuming feeling of utter suffocation, and a memory that will haunt me for the rest of my life,” Natalie says. Six babies are stillborn every day in Australia. The Stillbirth Foundation Australia conducts research and provides education to prevent stillbirth. Beyond Blue can provide support for grief and loss.